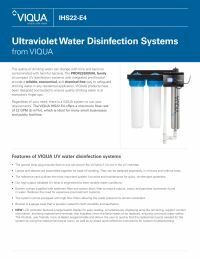 The Viqua IHS22-E4 UV System is an ultraviolet water system that provides a point-of-entry water treatment system with both disinfection and filtration. 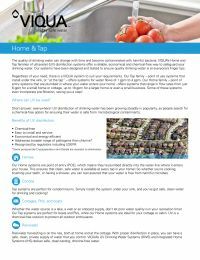 The Viqua IHS22-E4 is a compact unit that incorporates the Viqua E4 disinfection system and two filter housings, all on the same installation bracket. Viqua™-HO coated, high-output, low pressure germicidal UV lamps are used to provide an economical way of treating water requiring a 99.99% reduction in bacteria and viruses. 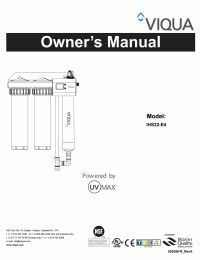 Viqua UV Lamp change is easily accomplished without interrupting the water flow, or having to drain the reactor and the over-molded connector can be removed without any additional tools. 25" x 12" x 36.6"